The Hanged Spy upright encourages a new perspective. For Bix and her team, stealing the build specs for a prototype Mid Worlds defense system is a high-risk mission they can’t refuse. The pantheons have dispatched their elite wet works unit to smite every researcher and facility associated with the project. Unfortunately, the gods have a head start, and Bix’s only clue to salvaging the op is a personalized Tarot card of the Hanged Man. Illustrated by arcane magic, the card depicts an old Sage who’d trained Bix in the spy game. A Sage who’d repeatedly tried to kill her. A Sage who’d died right in front of her…or so she’d thought. As deceptions multiply, the superpowers sworn to protect the Mids hamstring each other in the name of politics while a merciless foreign army invades yet another World. The pressure mounts for Bix to deliver the specs with all haste, but higher powers and hidden truths sideline her team and send her spiraling out of control. When one bad decision shatters the life she most treasures, no god, angel, dragon, or Fate is safe from Bix’s wrath. 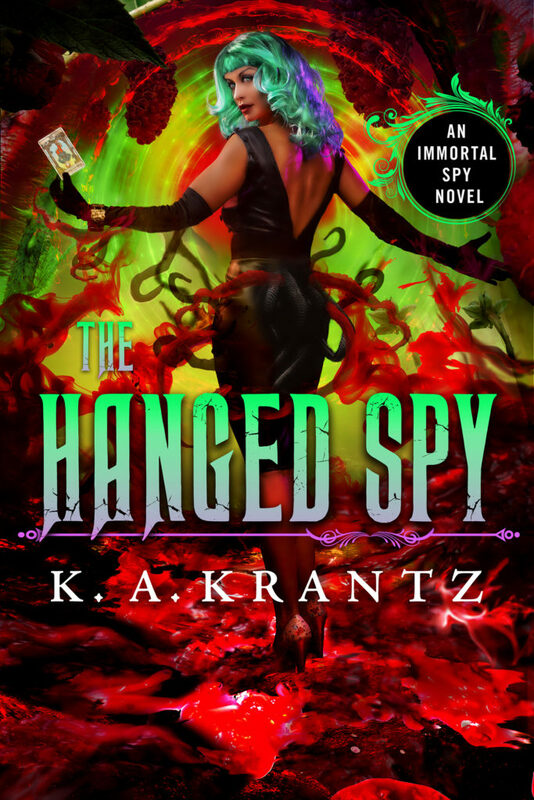 The Hanged Spy reversed demands a sacrifice.